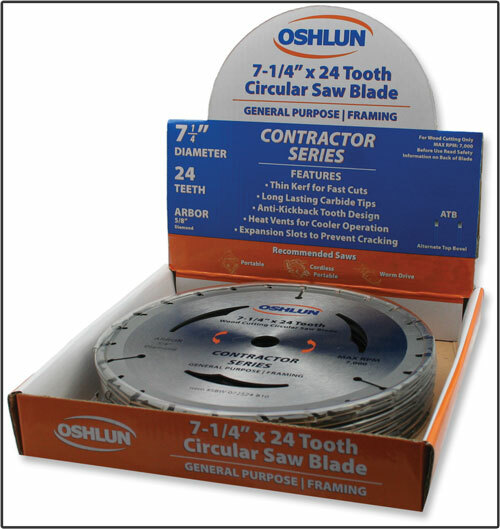 The 7-1/4” Contractor Series blade was designed for general purpose and framing work with various portable saws, including worm drives. It features an anti-kickback tooth design for added safety and large heat vents for cooler operation resulting in extended blade life. Also features a thin kerf for fast cuts, long-lasting C-2 micro grain carbide tips, and expansion slots. 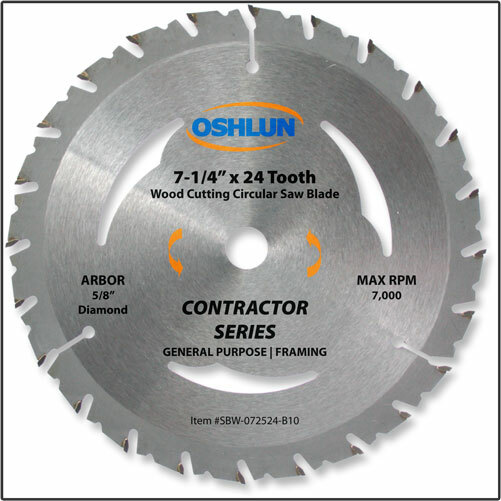 Great mid-level blade for general purpose work and framing jobs. Packaged 10 pcs bulk per counter display.